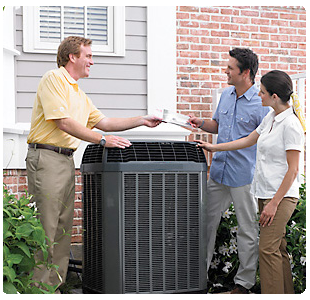 Air Conditioning and Furnace Service We provide service, installation and maintenance of quality energy rated systems. We will diagnose and troubleshoot your system to insure your needs meet your comfort level.​Our trained technicians will insure that your system is running properly by inspecting and repairing all the necessary parts. Even a well-maintained Air Conditioning or Furnace system occasionally requires ac repair. You can schedule routine air conditioning repairs on-line or calling 281-741-8631 for an appointment. Heating, and air conditioning systems account for a significant portion of home electrical use. Keeping your air conditioning unit in excellent working condition saves energy and money. Annual maintenance checks include cleaning or replacing filters, adding refrigerants to proper levels, leveling thermostats and inspecting condensers, blowers and lubricants. 100% Satisfaction Guarantee. We pledge to resolve or refund.